The singer, whose real name is Yamikani Janet Banda, says pushing her solo career has made her delve deeper into song writing. "I have always written songs, but now it is with the freedom of telling my own history at my own pace”, she says. She says her latest single, Love is Blind, produced by Drum Pope, has generally been well received by fans. The single is toping charts on several South African radio stations including Munghana Lonene FM’s Top 30. Lady Zamar has crafted lyrics which are easy to sing along, I won’t be surprised if it wins an award this year. The chubby, yet sensational vocalist and songwriter, first hypnotised house lovers with the hit song “Mamelodi” alongside DJ and producer Junior Taurus, from their debut album as a duo - titled “Cotton Candy”, released in 2014. "I recently found out why people love the song ‘Mamelodi’ so much, I honestly didn't think a song about a hood would get so big. But the fact that it is about hood life, is why people related to it”, she says. The duo made music together since 2011 before Zamar decided to pursue a solo career in April last year and things are working out well for the brand Lady Zamar. The talented songstress is featured on many summer hits, including Lulo Cafe's Dark Lady and Prince Kaybee's Charlotte. This dynamic 20-something-year-old, born to multinational parents in Mamelodi, northeast of Pretoria, is definitely headed for the big league. 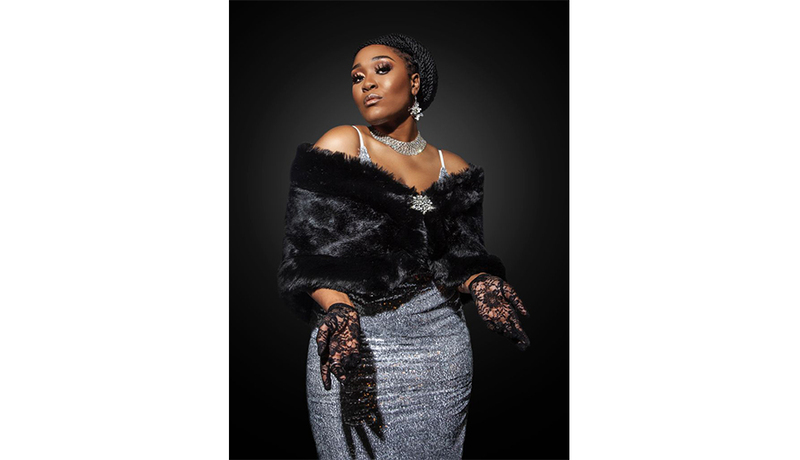 Loaded with the vocal capabilities, sumptuous looks and captivating moves, Lady Zamar is really transforming into a new jewel of South African music industry. "Now I feel it's time to explore”, she says. Talking about DJ Lulo Cafe's single, Dark Shadows, which was released in May, she says: "The song is about realising that there is never one side to somebody, people's personalities come in many shapes and sizes," she says. On the other hand, Prince Kaybee's single which features Lady Zamar, “Charlotte”, has been rocking the airwaves since November 2016 and it was well received by the masses. "Working with Prince Kaybee was great - he is a very professional producer with very strict work ethics. One of the most important things was to make the song sound less complicated", she says. About her latest album “King Zamar” which the single “Love is blind” is taken from: "People never get tired of love stories. Love stories will never go out of fashion", she says.